This is our longest and highest slide! At two and a half stories tall, the Extreme Dual Lane Slide will thrill everyone, young and old alike- two at a time! 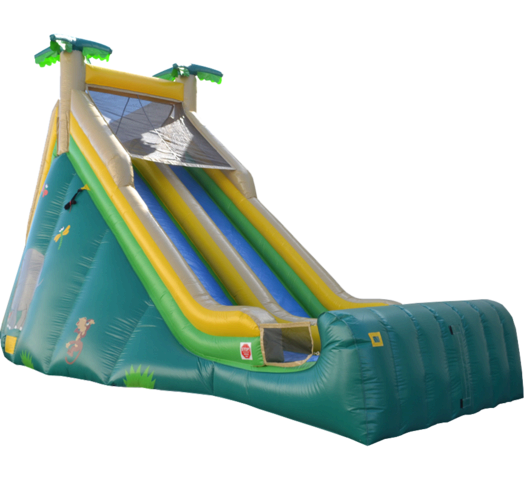 Featuring a safetry screen which prevents participants from standing while sliding (the cause of most slide related injuries), this slide is not only a blast, but it is extremely safe- making it the perfect choice for schools, churches and other large groups.